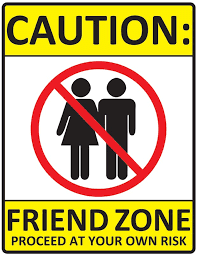 Friend zone - Short Story by Olive - BlogIT with OLIVIA!!! I was young. Younger than I am today. Naive and full of innocence. Reticent. Determined to succeed for whatever it might cost. I was doing a good job at that but lonely. The loneliness stems from deep, inside of me. My affinity to singleness fading into thin lines. Other youngsters were always in pair. I wanted same. The craving, to be, with him who loses his senses, over the things that I do. I was on net. Facebook precisely. His profile surfaced on list of 'friends you may know'. I scrolled, while dabbing at my face with my left palm. Instincts ordered I go back, to look well on the profile I just passed. Like a subservient wife, I obsequiously did. I click on 'Add friend'. I didn't check. Was aware I added quite a lot of people same day, but wasn't expecting an inbox message. 'You seem to have a lot going on in your mind, his message read'. Unsure how to reply to that, I simply typed 'lol' before proceeding to check his photos. He wasn't looking bad I muttered under breath. I was calm when he asked for my pin. BBM still in vogue. A friendship began. One that was so genuine, sincere and everything beautiful. There was no day we didn't talk. It started, talking at least 3times daily on the phone. The longer the conversations, the more we learn about things which makes the other happy or sad. The feeling was new. A novelty. I loved every moment of it. Every tiny bit of it. He was everywhere in my thoughts. In my dreams. I think about him with misty eyes. Every single day. With love buried deep inside my heart. I never felt this way since the days of Ben. It was refreshing, to know that someone else could make me feel this way. He was happy for me, I convoked from the university, after the hurdles and troubles of being an undergraduate. He sent a gift, through FIRST BANK. He called it 'graduation gift'. He was with me through NYSC registration. I was posted to same state as him. We were happy. I'd probably sit at some places he did while he obeyed the clarion call. Life in camp was boring as hell, but with his consistent calls and words of encouragement, I scaled through. The sunlight had bleached the leaves that fluttered as our vehicle veered past them. Objects bathed in dust. It was the beginning of harmattan. A season filled with so much dryness and very few rainfall. We were meeting for the very first time. I dreamt about it the previous night. Where he stood tall, in his giant gait. Smiles spread across his swarthy face. I could recall a dimple. Though it wasn't deep. He was beckoning on me to come forward. To hug him. 'I'm outside the gate', I'd had whispered to him on phone. He went on with directions, on how to get to the palace, where work was on going. I was nervous. Anxiety. Fear. And the other one, which I can not rightly term, crept from my insides. How will you handle the rejection? Then, another question popped up. What if reverse were the case? What if you don't like him? I pushed the questions far away from popping up. With shaky hands, I opened the gate of the palace and sauntered in. He stood there. Tall. And all smiles. He asked for a hug, and I shyly did. Half hug I'd call it. He wasn't shy at all. Acted normal. Like an old friend welcoming his long gone friend. I was quite pleased with this. I had butterflies in my belly. I loved him then. Feelings surged through. It was mutual or so I believed. His hands lightly placed on my waist, while mine rested on his shoulders. His tongue was raving, hungry, with passion. It sought for openness. I obliged, making way for its entrance. It entered with full force, and the thrusts began. I was crazily burning with passion. I wanted him to run his hands all over me. To rid me of my garbs. To be just naked with him, to have him inside of me. I wanted the world to just melt away, leaving just the two of us, with our bodies close to each other, or probably inside each other. My legs grew weaker. I thought I will fall into an ignominious heap. But his hands were very supportive. The kisses lingered on for some more minutes. On. On. Then we parted our lips. I looked closely at him. He was still smiling. A sort of assurance, that everything is under control. I felt safe in his arms. So safe I wanted to just be there forever. I suddenly felt cold and small. I did not want to hear what he said. He blurted it out anyways. He doesn't want me, in ways I desired him. It was a zone. He pushed me inside it, because I asked. I wanted to know exactly, what it was, we were doing. Cared not as how I received the news. He just wanted it out, of his heavy chest, probably to warn me, into putting my emotions, where best it favors. My palms were sweaty. Shaking profusely on its own. Heatbeat increasing rapidly at its pace, like a baby chick breaking open its shell. For a moment, I felt so disconnected from the living world. The world that hold promises. Of brighter days ahead. Of beautiful togetherness. And then, I was left with no option than to let him go. A beautiful nonsense it was.